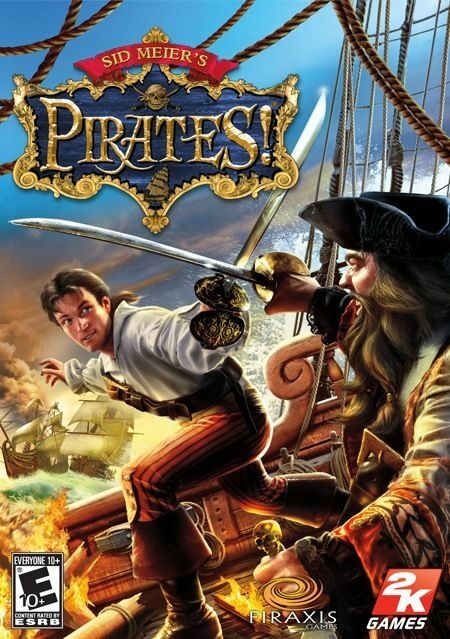 Take on the role of a Pirate Captain to amass fortune and fame and seize your rightful place as one of the most revered and feared pirates in history. •Experience an all-new story built upon the most fun and compelling features of the original Pirates! game. •Battle, overtake and command 27 different ship types, enhanced with assorted ammo, cannon and other upgrades. •Take on various foes including merchant and military captains, ferocious pirates, evil gentry and even rival suitors – each with different skills and abilities. •Confront enemies on board ships, in seedy taverns, on the ramparts and even at the Governor’s mansion. •Wield weapons - or anything within your reach - as you fence against foes. •Engage in fierce naval battles fighting single enemies or multiple ships. •Wireless Multiplayer - Up to 4 players can play simultaneously using the Wi-Fi capabilities of the PSP® System, each with their own dedicated screen. Additional multi-player maps, some of them much larger than those seen on Xbox®, have also been added. •Treasure Hunt - The treasure hunt feature removed in the Xbox® version has been re-introduced into the game. There are around 20 unique locations that the player will have to navigate around to collect pirate treasure, find lost relatives, and Incan cities. Accessible User Interface - The menus and user interface are optimized for use on a portable device. The Widescreen display is fully utilized and the controls available on the unit are used to their maximum potential. Navigating is smooth; the player won’t miss their mouse at all! •Stealth/Sneaking - Using a 3D tile-based environment, players move one square at a time around a large grid of buildings to hide for cover and fight with guards in the town. •Land and Sea Battles - The player fights in the same grid/turn based fashion as the PC/Xbox®. Engage in fierce naval battles, against both single vessels and multi-ship convoys. Harrowing action sequences on ship decks include swinging from yard arms, slashing down sails, and clobbering enemy crew as players make their way to the enemy captain.